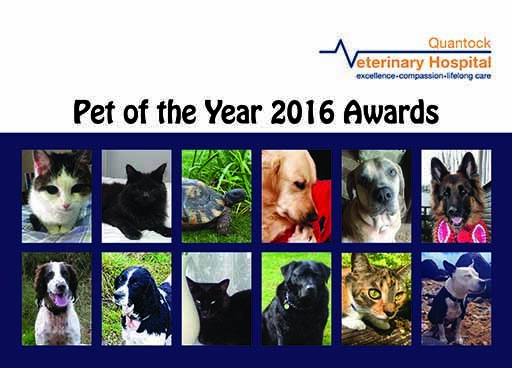 Brave Cassie wins Pet of the Year 2016! 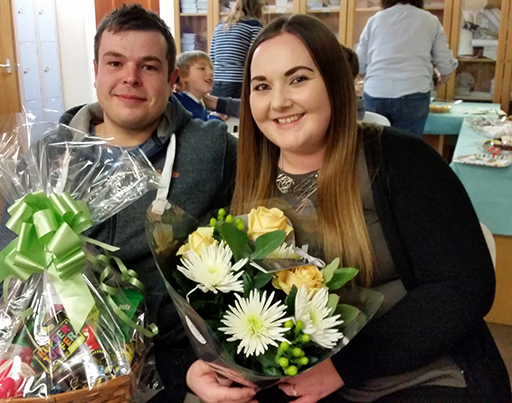 On 23rd of February we held our ‘Pet of the Year’ event celebrating some of our most remarkable and admired patients of 2016! You may know that every month our staff vote for their most inspiring patient – not an easy task comparing around one thousand patients that we will have seen over the month! This year the twelve nominated animals ranged from cherished cats and dogs that had endured traumatic accidents, distressing conditions, a dog whose greedy ways got her into serious trouble and a tortoise who needed extra attention after hibernation. Each one of these remarkable pets has their own story and behind them loving and dedicated owners. 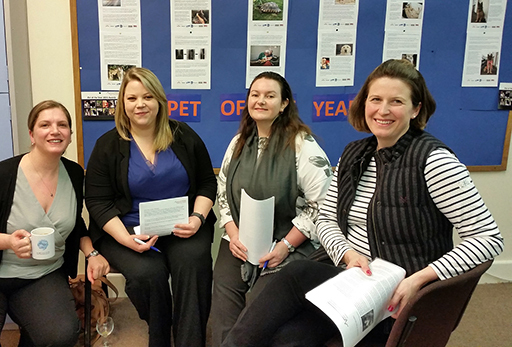 This year after an evening of presentations and much deliberation our three kind judges – Hannah Norton from Royal Canin, Nicky Kerswell from Petplan and Niki Ingleby from Elanco – chose Cassie, a little 9 year old Staffordshire Bull Terrier as our 2016 ‘Pet of the Year’. 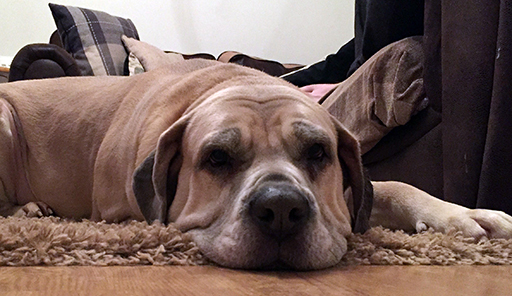 Cassie had suffered from a serious heart condition, and some weeks after complex surgery tragically but peacefully died earlier this year. 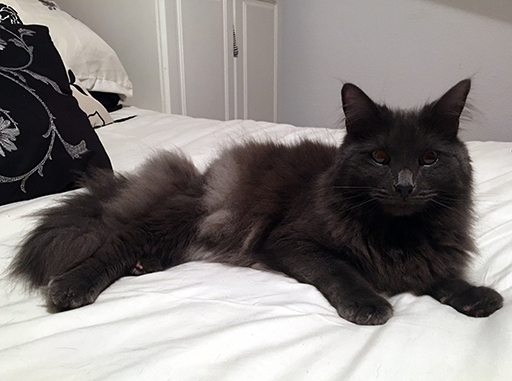 Her good nature and gorgeous character and her owner’s devotion and determination to try to do the right thing for her, made her one of our most loved patients last year. 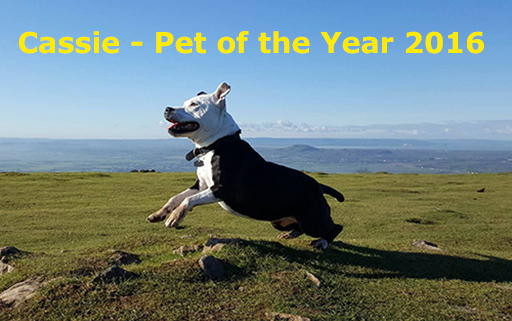 Congratulations to all our Pet of the Months and especially to Cassie our 2016 ‘Pet of the Year’ and her owners for their courage, determination and tenderness. 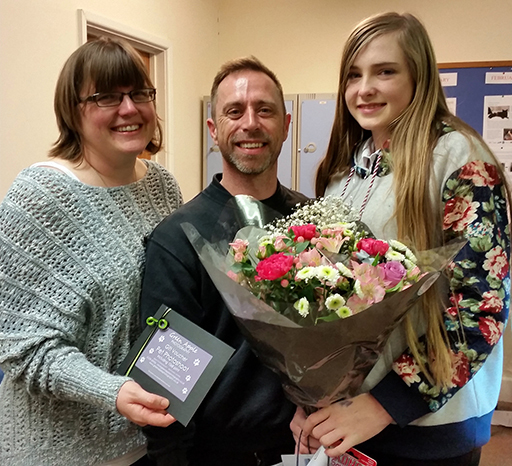 As well as the prize winners, all twelve Pet of the Months received a wonderful goody bag to take home and enjoy! We would like to thank again our kind sponsors for their generosity – Royal Canin, Elanco, Petplan, Centaur and Bridgwater’s Green Apple Photography. And huge thanks to Sian and Lyn for all their hard work, to all the vets who presented their cases with such passion and all the other Quantock Hospital staff who worked so hard to pull the event together and make it special.